If you are like some businesses, you may want to take control over your emails. With Trakdesk custom SMTP module you can do just that. 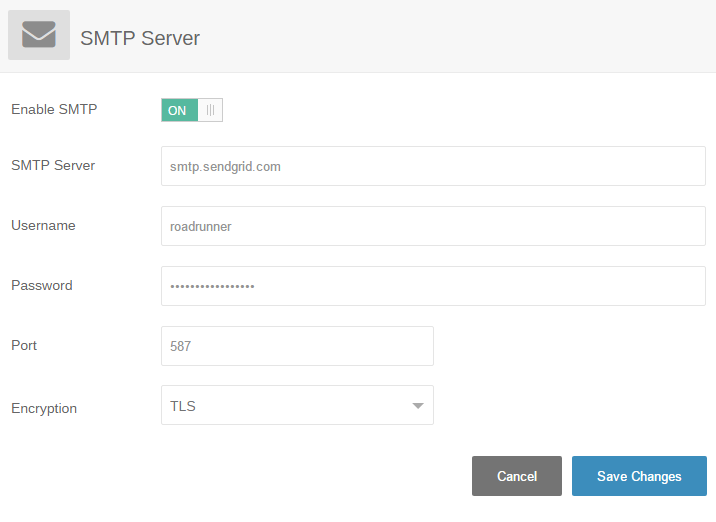 Integrated directly into your helpdesk, you can easily setup your own SMTP server so that all emails that are sent from your helpdesk will flow through your own email server. Setting up SPF for Trakdesk to send email on behalf of your custom domain. 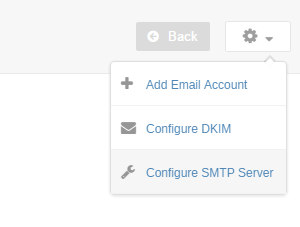 At the Top Right of the page, click on the drop down menu and select Configure SMTP Server. On the SMTP configuration page, click on the Enable SMTP option and fill out all required fields. Finally, click on the Save Changes button to apply your configuration. To verify that everything works, send an email from your helpdesk to your email address. If you do not receive the email, check your configuration and try again.